עבר can also mean to impregnate (from the sense of "to pass the seed"). From here we get the word עובר ubar - "fetus" and a leap year is known as a שנה מעוברת - shana meuberet. עברה evra means "anger", and Klein says it's related to עבר in the sense of "carried away by anger". He also provides two alternative etymologies- from Arabic gharb (passion, violence) or Arabic ghabira (=he bore ill will). 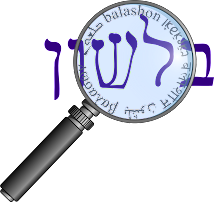 עברי Ivri and עברית Ivrit mean "Hebrew". While there are many theories as to the etymology of Ivri (and because it's a proper noun it's more difficult to track), one of them derives it from the related ever עבר - "side", and therefore literally means "one from beyond (the Euphrates)". Perhaps I'll do a more extensive post on this some day. late 14c., from Old French transgression "transgression," particularly that relating to Adam and the Fall (12c. ), from Late Latin transgressionem (nominative transgressio) "a transgression of the law," in classical Latin, "a going over, a going across," noun of action from transgressus, past participle of transgredi "step across, step over; climb over, pass, go beyond," from trans- "across" + gradi (past participle gressus) "to walk, go"
In Biblical Hebrew, we don't find this root in a noun form. There are other words for sin, such as chet חטא, pesha פשע and avon עון. However, in Talmudic Hebrew, we are introduced to a new noun - aveira עבירה. Avera can also mean "sin", but has a more general sense of "transgression or offence" as in averot between a person and his fellow עבירות בין אדם לחברו. In modern Hebrew it can mean "crime or violation", as in a traffic violation עבירת תנועה - aveirat tenua. When I first read this, I stopped midsentence (as I'm quoting it to you here). What exactly took place in an "avayra room"? What sins? What crimes? for things that were an avayra, a shame to throw out—family portraits, diplomas, clothes to be sent to the relatives in Europe. After taking a breath of relief, I suddenly realized that I knew this particular sense of aveira already. My great-aunt Mollie, who was born just a few years before Ruth (also to European immigrants, but to Boston instead of New York), used to talk about "aveira fat". This meant the fat you gained by eating things that were a shame (an aveira) to throw out. I'm certainly familiar with this type of weight gain, but I always thought that was a strange turn of phrase (particularly considering that I rarely heard Mollie use any Hebrew or Yiddish words). But now it seems that this was a particular sense of the word aveira, perhaps even specifically used by immigrants to the United States. I'm going to continue using the phrase "aveira fat". It would be a shame to let it go to waste!